We are very happy to inform you that the trailer of CFSI film ‘Goopi Gawaiya Bagha Bajaiya’ was launched by Shri Gulzar sahib on 15th Jan, 2019 at The View, Andheri (West). Shri C.P. 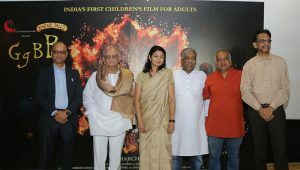 Viswanath, CEO of Karadi Tales alongwith Shri Narayan Parasuram, Co-founder of Karadi Tales, Ms. Shilpa Ranade, Director of the film, Shri Rajesh Gohil, Accounts Officer & Admin Officer (Addl. Charge), CFSI and Shri Jaisingh Rajput, Asst. Officer (Production), CFSI and were also present. 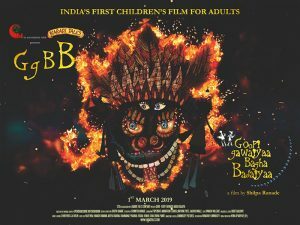 Film will hit the theatres on 1st March 2019. (L-R) Shri Rajesh Gohil, Accounts Officer & Admin Officer (Addl. 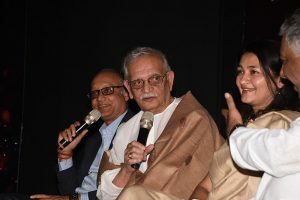 Charge), CFSI; Shri Gulzar sahib; Ms. Shilpa Ranade, Director of the film; Shri C.P. Viswanath, CEO of Karadi Tales; Shri Narayan Parasuram, Co-founder of Karadi Tales and Shri Jaisingh Rajput, Asst. Officer (Production), CFSI. Shri Gulzar sahib alongwith Shri Rajesh Gohil, Accounts Officer & Admin Officer (Addl. Charge), CFSI interacting with the Press. 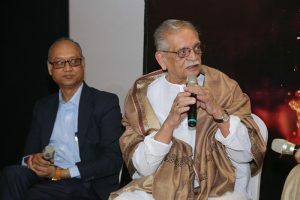 Shri C.P. 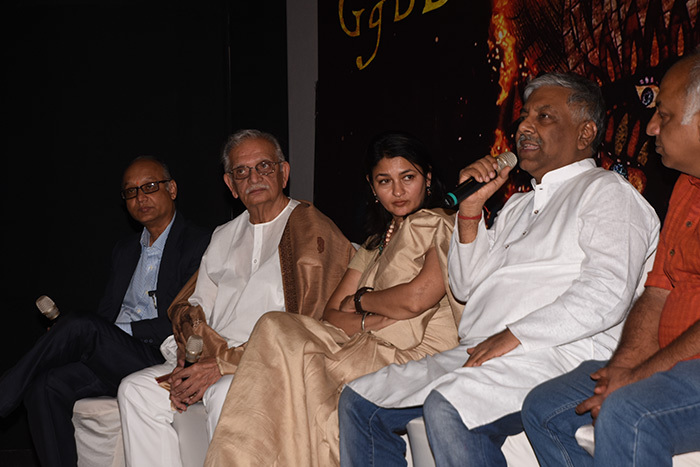 Viswanath, CEO of Karadi Tales alongwith Shri Gulzar sahib; Shri Narayan Parasuram, Co-founder of Karadi Tales; Ms. Shilpa Ranade, Director of the film; Shri Rajesh Gohil, Accounts Officer & Admin Officer (Addl. Charge), CFSI interacting with Press. Shri Gulzar sahib alongwith Shri Rajesh Gohil, Accounts Officer & Admin Officer (Addl. Charge), CFSI interacting with Press. 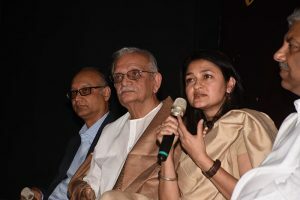 Ms. Shilpa Ranade, Director of the film alongwith Shri Gulzar sahib; Shri C.P. 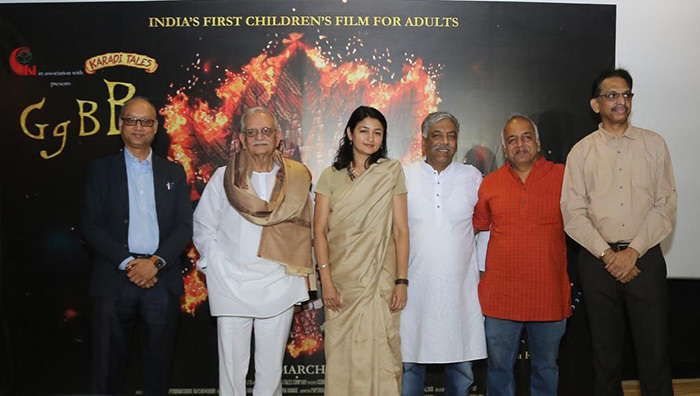 Viswanath, CEO of Karadi Tales; Shri Rajesh Gohil, Accounts Officer & Admin Officer (Addl. Charge), CFSI interacting with Press.